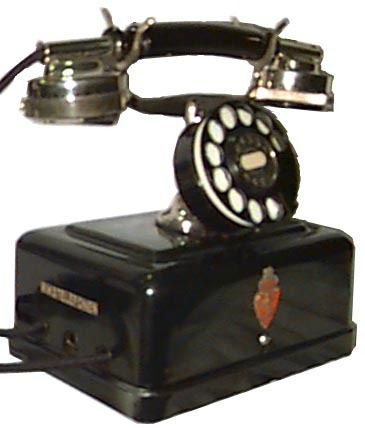 This is a European 1918-1931 (dial added after 1925) telephone by Rikstelefonen. It measures 5-1/2"x7"x9". This is a wonderful addition to any telephone collection.